Based on the 2002 critically acclaimed 3 issue comic mini-series written by Steve Niles and illustrated by Ben Templesmith, 30 Days of Night made vampires scary again. Anne Rice’s vampire novels made the undead misunderstood creatures of burden. Yes some of the vampires in her work were downright horrifying but the main protagonists were always depicted in a favorable light that garnered more sympathy than shivers. The film adaption of Interview with a Vampire further reinforced this image and made these bloodsuckers more accessible than ever before. 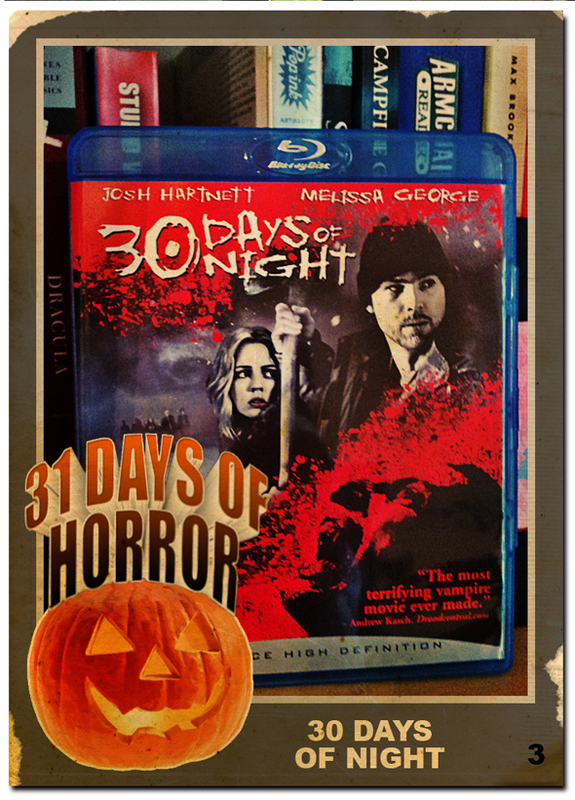 30 Days of Night returned the vampire to a more primal place. Niles’ vampires are pale, shark-like killing machines with rows of jagged teeth, black lifeless eyes and a savage ferocity. They speak in a vampire language and when they do speak English it is only a word of two and often precedes a victim’s death. Finally, the vampire was scary again. All of the humanity was sucked out. You didn’t feel for them, they didn’t bemoan their condition, they relished in it. They were cold, silent and deadly as ever. The movie captures this perfectly and is one of the best comic to film adaptions to be released in a long time. Unfortunately, three years later in 2005, Stephenie Meyer would unleash onto the world a scourge that has made vampires even more soft, sparkly and nonthreatening than anything Anne Rice has ever written.